The One Call Institute leadership team (from left to right): Carmen Grace Poppert, Zack Stachowski, Msgr. Ray East, Matt Reichert, and Jes Garceau. One Call assembles an exceptional collection of educators, ministers, musicians, composers, catechists, and leaders. Each member of our team possesses unique gifts and talents, but all are united in our common mission to develop young pastoral musicians and their advocates. As a participant at our summer institute, these are the people you will work alongside. They are listed here in alphabetical order. John is a composer and full time music missionary who travels throughout many parts of the world providing inspirational music and faith witness to all ages through concerts, workshops, retreats, missions, conferences, and worship. John has been featured at World Youth Day in Sydney, Australia, (2008) and at Carnegie Hall (2011). He is originally from Clarksburg, West Virginia, and now resides in Nashville, Tennessee. He is a graduate of West Virginia University and the U.S. Military School of Music, where he was a member of the U.S. Navy Band as lead vocalist. John received his Master’s Degree in Pastoral Studies from Catholic Theological Union in Chicago in 2013. Leisa is the Associate Director for Pastoral Life for the Archdiocese of Cincinnati. Leisa brings extensive pastoral experience to her ministry as an author, presenter, and trainer. She is a frequent presenter at national and diocesan gatherings on topics ranging from parish leadership, stewardship, evangelization, and strengths development. 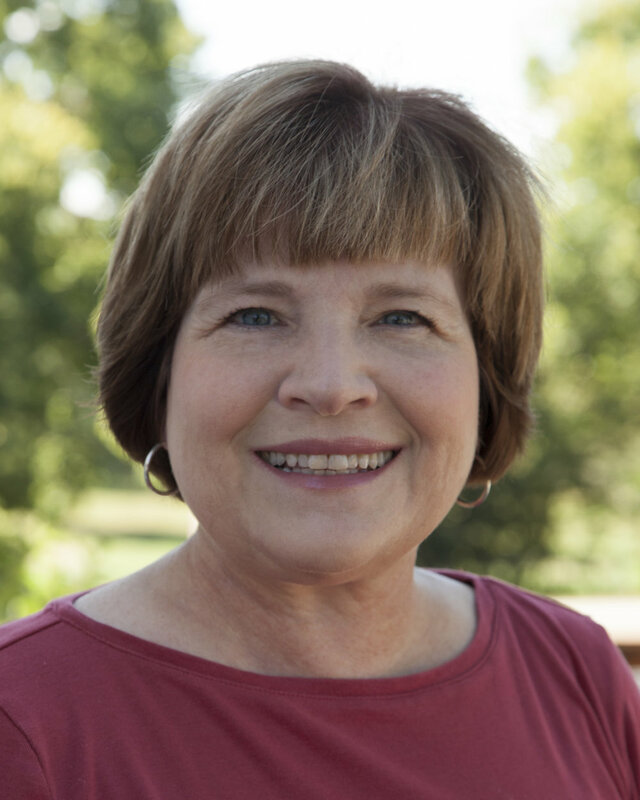 Her most recent publications include Grateful Disciples, leader development for forming stewards in community, and 30 Days on Stewardship, published by Twenty-Third Publications. Leisa and her husband, Steve, reside in Loveland, Ohio. Leisa holds a Bachelor's degree in Music Education from St. Mary-of-the-Woods College, a Masters in Secondary School Counseling from Purdue University and a Master of Arts in Religion from the Athenaeum of Ohio. Maureen is the Associate Director for Liturgical Music at the University of Portland. Maureen has been a pastoral musician for over sixteen years. She is an alumna of the University of Portland, having graduated in 1992 with a bachelor of science in nursing. Maureen completed her master's degree in music, with emphasis on liturgical composition, in 2004. Maureen has been working in Campus Ministry at the University of Portland since 2000. She plays a variety of instruments, and enjoys conducting the Chapel Choir in music of all traditions, styles and cultures. In her personal life, she and her husband, Tim, are blessed with a large family of six children. Craig has been a Music & Liturgy Director in the Phoenix, Arizona area for the past 20 years. Along with his wife, Kristen, Craig has published several collections of music and has presented at conferences and workshops around the country. Craig’s debut album, “I Am the Way” was released by World Library Publications in collaboration with Ed Bolduc. Currently, Craig provides some of the music suggestions and writes Liturgical articles in the Life Teen Liturgy resource guides. He is also a contributor for a Musicians BLOG on the Life Teen Web Site. He has served in the Diocese of Phoenix at many Diocesan events and is skilled in Piano, Guitar, Voice, Percussion & Drums. Rory is in his 25th year as director of liturgy and music at St. Anne Catholic Community in Barrington, Illinois. Since 1984, he has composed or contributed to nearly twenty collections of music for worship with his wife, Theresa Donohoo, and friend Gary Daigle. Rory is a blogger and contributor to several periodicals, and was the recipient of the 2014 Pastoral Musician of the Year award from the National Association of Pastoral Musicians. He is the author of “Change our Hearts,” a book of Lenten reflections from Liguori Publications. Since 2015 he has served on the steering committee of the Liturgical Composers Forum, and currently acts as its chairperson. Married to Theresa Donohoo, he is the father of six and grandfather of three. Monsignor Ray East is the son of the late Thomas and Gwendolyn East. The grandson of Baptist missionaries to South Africa, he was born in Newark, New Jersey. Raised in San Diego, he graduated from the University of San Diego with a degree in Business Administration. His position with the National Association of Minority Contractors brought him to Washington, DC where he later experienced a call to the priesthood and was ordained in 1981 by Cardinal Hickey. Father East has served in six Washington parishes before being named director of the Office of Black Catholics and Vicar for Evangelization. He is a member of the boards of Jobs Partnership Greater Washington and Food and Friends. He also serves on the board of St. Vincent Seminary in Latrobe, PA. He has worked in the areas of Liturgy, Youth Ministry, Initiation, and Evangelization. Bonnie started her career as a music teacher, and to this day she maintains the clear, methodical manner of an educator. She has worked in music ministry in the Archdiocese of Minneapolis and St. Paul archdiocese for more than four decades, including teaching at the School of Divinity at the University of St. Thomas. She travels all over the country giving cantor clinics and workshops, including NPM Institutes and Conferences. She served on the faculty of Music Ministry Alive, with David Haas for the 19 years. Bonnie is energetic, funny, enthusiastic, knowledgeable and has the enormous heart of someone sincerely dedicated to serving Christ and his people. Chrissy is from Minneapolis, MN, where she lives with her husband, Nick, and two daughters, Samantha and Jessica. She is a Kindergarten Teacher Aide and an Extended Day Teacher for grades K-8 at Annunciation Catholic School in Minneapolis. She has about 30 years of Cantoring and Music Ministry experience at multiple parishes in both Wisconsin and Minnesota. She is well versed in other areas of ministry, including lectoring, liturgical dance, and environment planning. She was a member of Music Ministry Alive! for 11 years, and currently cantors and sings in the choir at Corpus Christi parish in Roseville, MN. Jes currently works for the Target Corporation in Minneapolis, MN and resides in Lino Lakes, MN. Jes completed her undergraduate studies at St. Catherine University in St. Paul and is currently studying to earn a Masters of Arts in Organizational Leadership at St. Mary’s University of Minnesota. One way she shares her love for music and leadership is by co-leading Target’s corporate choir known as “The Spots”. One of Jessica’s other passions is being the best auntie to her nieces and nephews. Jessica served on the staff of Music Ministry Alive! from 2008 until 2017. Becky is an award-winning fiddle player, vocalist, and conductor. As the fiddle player for the GRAMMY® Award-winning Folk/Americana band, The Okee Dokee Brothers, Becky has toured the United States and Canada, and performed with the Minnesota Orchestra. She was also a grand prize winner at the 2014 Electric Strings Festival Competition as a member of the jazz ensemble, Rhythm and Bows. Becky is a singer for VocalEssence in Minneapolis. Becky loves to inspire and direct choirs of all ages: She has directed the Edina Singing Seniors, the Saint Helena Elementary School Choir, and is currently the Director of Music at Saint Jude of the Lake Catholic Church in Mahtomedi, Minnesota. Marty is a liturgical composer, workshop presenter, performing and recording artist & author from Eagan, Minnesota. For the past 30 years, Marty has presented workshops and concerts across North and Central America, Europe, Asia and the Pacific Rim. He has over 40 recordings and more than 400 separate printed editions available through GIA Publications. A number of his published songs, including "Shepherd Me, O God," "Gather Us In," “Mass of Creation,” and "All Are Welcome" are well-known to many religious denominations. Marty has served as an editor or consultant to a number of GIA hymnals and has been a contributor to hymnals or supplements for many denominational groups . Born in Trinidad, André Heywood grew up and studied in London, Ontario. Since moving to Minnesota he has worked on the campus of Saint John’s Abbey and University, serving as Artistic Director of The Saint John’s Boys’ Choir, conductor of the Saint John’s Abbey Schola (monastic choir), Liturgical Music Director at Saint John’s Preparatory School, and as an adjunct faculty member at the university where he directs the All-College Choir and teaches graduate choral conducting. Since 2016 he has served as conductor of the National Catholic Youth Choir. A highly sought after clinician, adjudicator, and guest conductor, Mr. Heywood is a well-known specialist in developing young male voices. He is currently a doctoral candidate in choral conducting at the University of Toronto. Matt is the Director of Music & Liturgy at St. Pius X Catholic Church in Rochester, Minnesota. Matt directs a comprehensive liturgy and music program for full liturgical cycle, including special liturgical events, multiple choirs, liturgy teams/committees, training/scheduling, and program/event evaluation. Matt is also a fitness and nutrition coach and consultant, operating his own training business. Matt lives in Rochester with his wife, Rachel, and two daughters. George is the Associate Director of Campus Ministry at Loyola University in Baltimore, Maryland. In this role, he directs the worship life of the Loyola community. As founder of the Loyola Chapel Choir, he brings over 30 years experience as a musician and campus minister. He holds degrees in theology (Loyola, '76), voice and music education, and a M.A. in vocal pedagogy and conducting, as well as continuing education in liturgical studies. George has held national leadership positions with AJCU and NPM, and was a faculty member of Music Ministry Alive. A professional singer, he has performed with The Baltimore Choral Arts Society, and the Baltimore, Washington, and Annapolis Opera companies. Tony is an Academic Advisor at St. Catherine University. Tony is also an accompanist for the Our Lady of Victory Chapel at St. Catherine University and St. Ambrose of Woodbury. Tony attended the University of Wisconsin-Eau Claire and majored in Sociology and Music, and then earned his Master’s Degree from the University of St. Thomas in Leadership in Student Affairs in Higher Education. He is excited to help with this year’s peer ministry program by fostering mentoring and enhancing leadership skills and opportunities. Steve is the president of the National Association of Pastoral Musicians (NPM). Prior to this, he served as director of music at St. Blase Parish in Sterling Heights, Michigan. Steve is a private guitar instructor with over twenty-five years teaching experience and served on faculty at Sacred Heart Major Seminary in Detroit as a guitar instructor. He is also a studio musician, having played on numerous GIA recordings. He has several recordings available through GIA Publications, including his most recent release, With Hope and Healing, as well as a guitar method book series entitled Beyond Strumming: A Liturgical Guitar Method. Steve has a Bachelors of Arts degree in business administration from Wayne State University. Steve has vast knowledge and experience in areas of group leadership, teamwork, collaboration, conflict resolution, crisis management, and strategic corporate planning. Carmen Grace teaches 1st Grade at Risen Christ Catholic School in Minneapolis, MN. Carmen Grace completed her undergraduate studies at St. Catherine University in St. Paul graduating with a Bachelor of Science in Elementary Education and a Bachelor of Arts in Spanish. Carmen Grace served on the staff of Music Ministry Alive! from 2014 until 2017. Matt teaches at the College of Saint Benedict and Saint John's University in Collegeville, Minnesota. As an educator, Matt has served as an administrator, board member, and classroom teacher at middle school, high school, and undergraduate levels. A frequent workshop leader, Matt has presented at parishes, diocese, and institutions across the country as well as at NPM and NCEA conferences, the Mid-Atlantic Congress, and the L.A. Religious Education Congress. Matt hosts NPM's "Ministry Monday" podcast, and co-hosts the "Open Your Hymnal" podcast with co-director Zack Stachowski. Matt is a member of the music ministry team at his parish and the Saint John's Abbey Schola. Matt served on the faculty of Music Ministry Alive! from 2003 until 2017. Abbie started her ministry with the Church at a young age as a cantor and youth choir leader in high school. She attended Music Ministry Alive from 2006-2008 as a participant and then on the team in 2010 and 2014. She is currently a cantor at Basilica of Saint Mary in Minneapolis. Abbie is a Physician Assistant in Ears, Nose and Throat with Allina Clinic and in Urgent Care with Minute Clinic. She completed her undergraduate studies at St. Catherine University in St. Paul with a Bachelor of Science in Nutrition Science and her Master's Degree in Physician Assistant Studies from University of Wisconsin: LaCrosse. Scott is the owner of a sales and marketing company that specializes in the wholesale home furnishings and accessories industry. Scott is an active member in his music ministry team at his home parish, St. Mary Magdelen Catholic Church, in Grand Rapids, Michigan. Scott was a participate of Music Music Alive! from 2001 to 2003 for both vocal and leadership tracks. Zack Stachowski is the Director of Music and Liturgy at St. Ignatius of Loyola Catholic Church in Ijamsville, Maryland. Zack works extensively as a liturgical musician performing and recording with artists such as David Haas, Marty Haugen, Michael Joncas, Lori True, Paul Tate, Stephen Petrunak and many others. Zack is also a composer with GIA Publications and released his debut CD in July 2017. An avid teacher and workshop leader, Zack has presented at NPM and NCEA conferences, as well as at the Mid-Atlantic Congress and L.A. Religious Education Congress. Zack co-hosts the "Open Your Hymnal" podcast with co-director Matt Reichert. Zack served on the faculty of Music Ministry Alive! from 2008 until 2017. For 25+ years Sister Bridget has ministered in the areas of youth ministry, campus ministry, coaching and teaching. She has a passion for education, helping young people know of God’s deep and abiding love and for recognizing both their individual and collective call to share their gifts and continue Christ’s mission. S. Bridget holds degrees in Communications/Journalism, Religious Education and in 2016 completed a course on Augustinian Spirituality at the Augustinian Patristic Institute in Rome. She currently ministers on behalf of her religious congregation, the School Sisters of Notre Dame, as a member of its vocation team. S. Bridget enjoys playing cribbage, activities with her sisters in community, catching up with her 18 nieces and nephews and improving her harmonica-playing skills. Kate is the Senior Managing Editor at GIA Publications, Inc. She holds a Bachelor of Music Composition degree from DePaul University in Chicago, Illinois as well as a Masters of Arts in Liturgical Studies degree from Catholic Theological Union in Hyde Park neighborhood of Chicago where it was her privilege to study as a distinguished Bernardin Scholar. She serves as workshop leader, consultant, and musician in the Archdiocese of Chicago and abroad, following a passion to serve in multicultural, multigenerational communities, while mentoring young voices and building bridges through music ministry. One Call welcomes new team members each year. The gallery below includes photos of all individuals who have served on the One Call team in the past.